Six Sigma Green Belt Training in Bangalore. We offer standard and customized training in the area of Business Process Improvement, Six Sigma, Lean methodology, Product development and Process development. Green Belt training provides the outline of the six sigma DMAIC process, basic tools, data collection and analysis methods, troubleshooting, generating improvement ideas, change management, risk management and implementing the solutions. Black Belt training covers the DMAIC method in detail from project scoping, listing customer requirements, process mapping, data collection, statistical methods and tools, root cause analysis, improvement ideas, concepts evaluation, down selecting solutions, managing teams, cultural impacts, change management, risk identification & mitigation, control plans and replication. 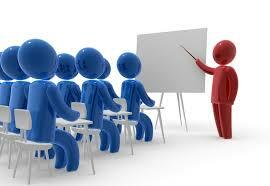 The training also covers management reviews and periodic reporting. Six Sigma Project Management covers all aspects of projects from understanding the strategic actions and long term goals of the business unit to supporting and overseeing the project handover after completion. The topics include prioritizing projects, project chartering, providing resources, support team with periodic guidance, watch scope and time lines, help with change management, drive financial discipline in outcomes, help implementation and encourage replication projects. Training will cover developing or understanding your business goals and strategy, map your strategic action items and long term goals to your day to day business processes, develop simple metrics, review historical data, collect data on your metrics, identify tools for data analysis, understand the business performance levels and identify the gaps and areas for improvement, develop improvement ideas and implement solutions.